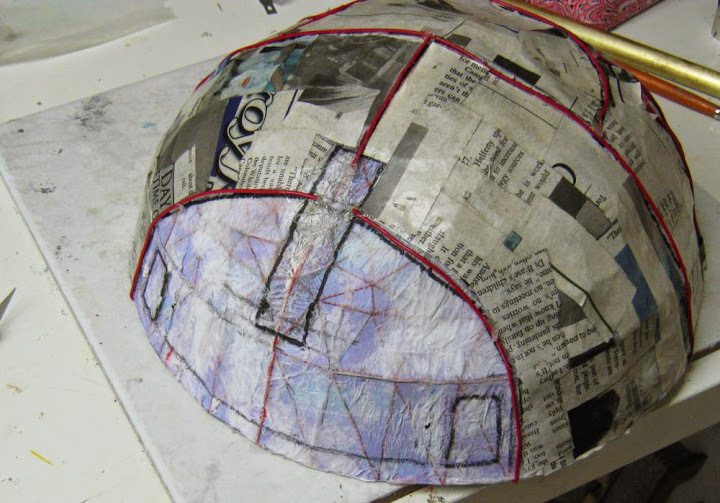 I carefully marked up the dome with the appropriate lines that will be a locator for the ridges. I then hot glued hook up wire over the lines. 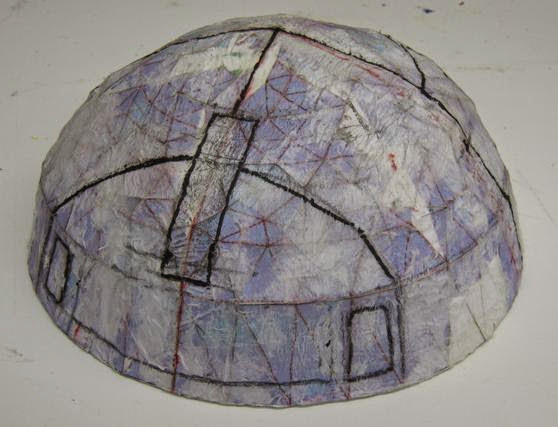 Carefully adding newspaper and glue in between the lines I built up a layer of paper mache over the dome. This is my first layer I will probably do 1-2 more layers.